When is a trend really a trend? Too often, in philanthropy (and maybe just in life), we fall prey to believing something is a trend based on rhetoric and talk, rather than actual data about what is happening. He said it as if it was an undisputable fact we all knew. I have no doubt that the speaker very much wanted what he said to be true, and maybe he even thought it was. But, the problem is, it isn’t. The facts are, there is nothing new about earned revenue in the nonprofit sector (think Goodwill or hospitals or universities), and there is no data I have seen to support the contention that it is on the rise as a proportion of total revenue. William Foster and Jeff Bradach of Bridgespan pointed this out in a very thoughtful Harvard Business Review article in 2005, noting that the data didn’t support the assertion that earned revenue was increasing as a proportion of total nonprofit revenue. I wondered whether that was still the case, so I checked with the Urban Institute’s National Center for Charitable Statistics. The folks there ran the numbers for me on what the IRS calls Program Service Revenue – the best proxy for earned revenue on the form 990. Breaking it down further reveals that Medicare and Medicaid payments make up a much larger share than was the case a decade ago, while “other” revenue – which would include the kind of earned revenue that the speaker who was touting an increase was referring to – has declined as a proportion of total Program Share Revenue. On the organization level, fewer of the nonprofits filing 990s are reporting any Program Service Revenue. That number has actually dropped slightly – from 57 percent of organizations in 1991 to 51 percent in 2008. So, no matter how you slice it, it’s pretty hard to support the case that earned revenue has taken on a more important role in the nonprofit revenue story. This is just one example of the phenomenon (is it a trend?) in which a trend is proclaimed on the basis of talk on the conference circuit or articles and blog posts – rather than on the basis of actual data about actual practice. Another example is the provision of general operating support, as my colleague Andy Brock has noted on this blog. 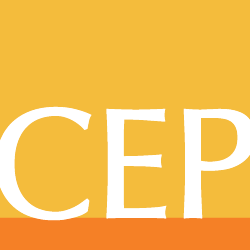 While there has been much written and said about the importance of the provision of general operating support to nonprofits, both CEP’s data and Foundation Center’s suggest that, if anything, the trend is in the opposite direction. Another “trend” that is often over-stated is the focus by funders on building the capacity of nonprofits, as we discussed in our 2008 report, More Than Money: Making a Difference with Assistance Beyond the Grant. The fact that we can point to a few, high-profile examples of something happening doesn’t mean there is a broad or widespread trend. Our desire for something to be true, or to position ourselves as the chroniclers of a trend, does not make it true. It’s a disservice to everyone in the sector when the media, consultants, or academics ignore the data to overstate a case – or to create one out of whole cloth. I remain hopeful that the debates and discussions in the sector and in philanthropy can be more informed by facts and data in the future than they are today. That’s a trend that is in our collective power to create.